Wheeler’s background in the design and supply of recreation bridges and Strongwell’s industry leading experience as as FRP manufacturer provides a proven combination. 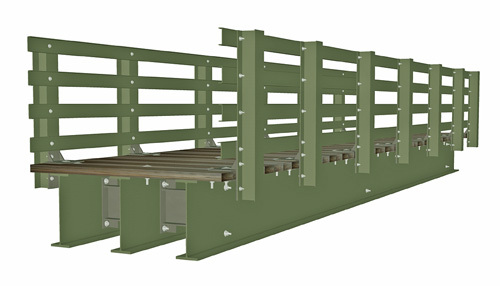 Stringer bridge designs provide for faster assembly with fewer components. Even 30 foot stringers weigh less than 500 lbs. FRP railing packages are available and can be customized to the project.